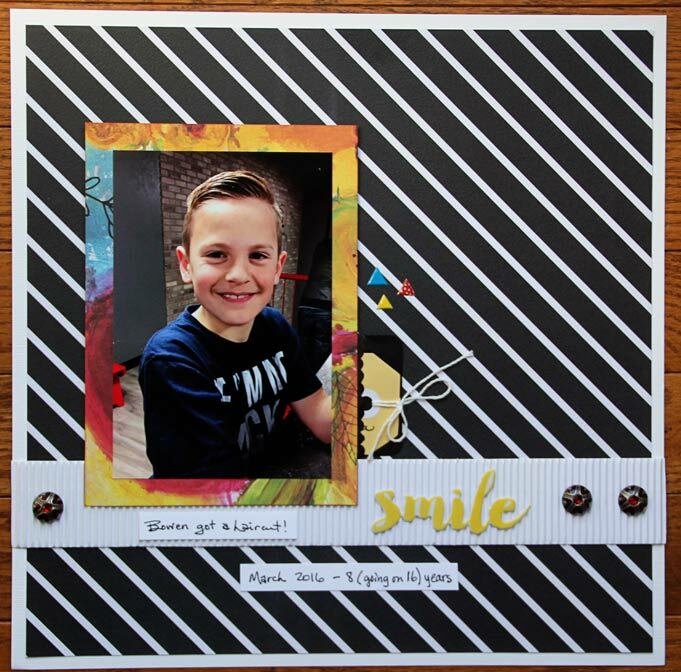 Hasn't the reveal of the Scrap Shotz April 2016 monthly kit been fantastic??? Fancy Pants Designs has always been one of my favorite manufacturers; year after year, they continue to release fresh, beautiful and versatile paper lines and coordinating accessories. The Attwell paper line has been just that - beautiful AND versatile. The conception of first layout came together in minutes but the actual construction was over a period of days. I am in love with the Art Alchemy acrylic paint; its properties are absolute magic! In the layout below, I began by painting a a layer of Art Alchemy paint onto a sheet of parchment paper and then let it air dry for about 2 hours. Normally it takes about 15-20 minutes for the paint to dry but I was inconsistent in its thickness and wanted the paint to be bone dry. As I applied the paint to the parchment paper, I splashed some of the paint onto the white corrugated background; that is how I ended up with the smeared look in the corners! The main elements of the layout were assembled quickly and I put it aside until I completed my remaining layouts, also shown below. The flowers were die cut from Tim Holtz Tattered Flowers die, Tim Holtz Alterations Spring Greenery die (which Sandy special ordered for me) and a Sizzix rolled flower die (also special ordered by Sandy). The flower centres were created by circles die cut from Art Alchemy paint and the gorgeous Emerald Creek brads. My next layout was my interpretation of the PageMaps sketch. I turned the sketch 90 degrees clockwise. Instead of the diamonds, I used balloons. 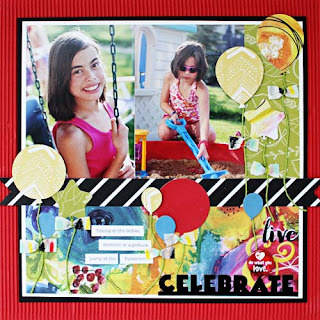 With the coordinating Attwell washi tape, I made bows to anchor the floating balloons. As well, I am smitten with the matching badges; they are THE perfect accessory to each project! Believe it or not, this layout was difficult for me to construct. I have had these pictures for quite some time but could never find the right pattern papers...until this month's kit! This double page layout highlighted the grey, black and yellow colours in the pattern paper. With the vibrant colours of my images, the softer colours were perfect. 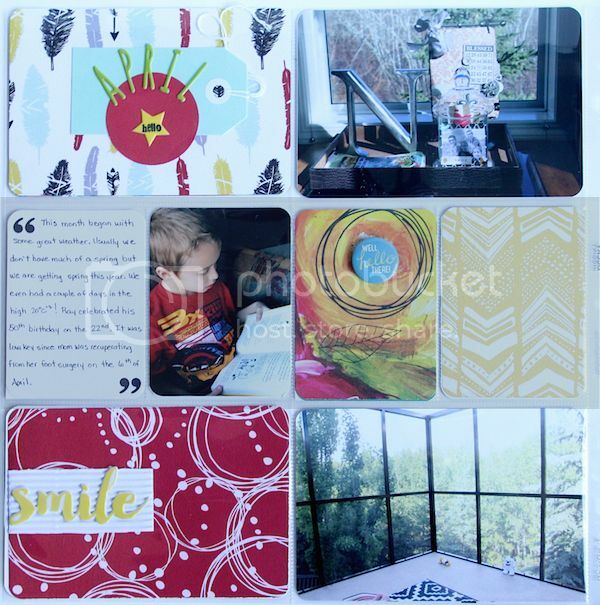 The Attwell puffy stickers and alphas were a joy to work with; they added dimension, colour and pizzaz to my layout! 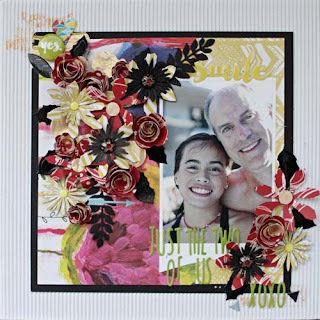 This next layout was created from all the cut file overlays seen on instagram. I do not own a silhouette but I do happen to own alot of dies. 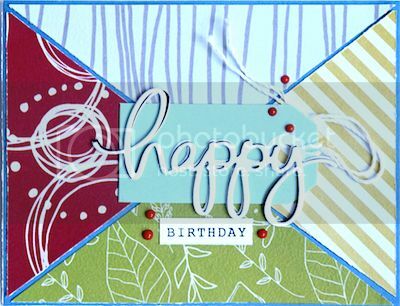 With the pattern paper, I used my Vagabond and the Taylored Expressions Birthday Toppers to create my version of overlays. The title was created with Mama Elephant dies. 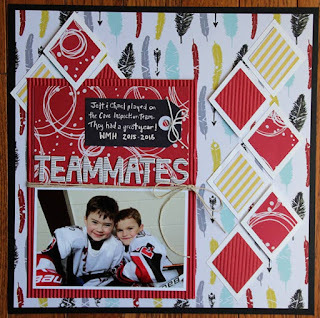 This final layout was created with leftovers of pattern paper, puffy alphas and puffy stickers! What I love is how the bold colours and patterns highlight my random images from our Saskatchewan visit. 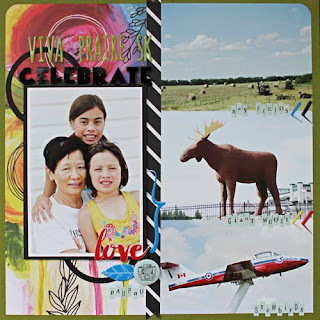 Thanks for letting me share my projects - please link me to your projects made with the Scrap Shotz April 2016 monthly kit! 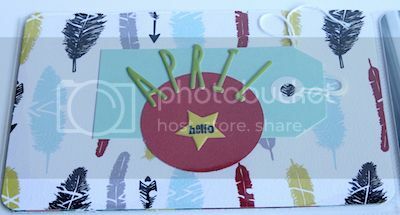 Welcome to the blog for a look at my projects made with the April Scrap Shotz kit featuring the fabulous Attwell collection by Fancy Pants Designs. I have lots to share so top up your coffee or beverage of choice and enjoy, feel free to click on any image to get a closer look :). 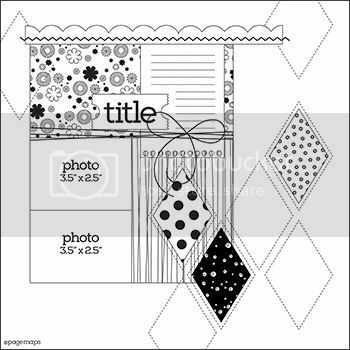 One of my goals for the year is to use my Cameo more so I spent some time in the Silhouette Studio software and created this diamond cut file to showcase the fabulous patterns in the Attwell line. I created pearls/dots with Nuvo cystal drops to hold down the gold thread and embellish the layout. 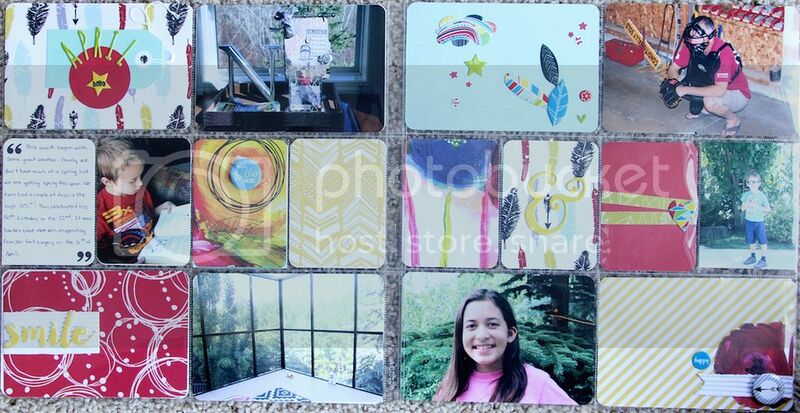 Puffy stickers frame the photo as well as the corrugated paper mat. The title is courtesy of a flair button placed on the corner of the photo. This blooms patterned paper just begs for a starring role on a layout, I trimmed it and turned it on it's side so the blooms draw the eye toward the photo. I painted a base for my photo mat with the Art Alchemy paint included in the kit and layered tags over the top. The banner is cut from the corrugated paper and it holds the puffy banner sticker and alphas from the add-on puffy alphabet letters. I accidentally dripped some paint on the layout so I decided to go with it and dip the end of my paintbrush in the paint and make dots on card stock. 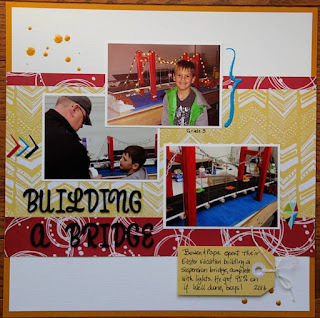 This layout is based on this Pagemaps sketch Lorraine shared with you on Monday. I created a cut file on my Cameo and then hand cut the patterned paper diamonds to fill the negative spaces on the card stock. I've then popped up a couple of the white card stock diamonds. The gorgeous Emerald Creek Crafts brads included in the kit accent some of the diamonds. The add on puffy striped alphas again comprise the title. I wanted to showcase the Alchemy paint included in the kit on this layout so I started off with applying the paint over the Tim Holtz lattice work stencil. I should have taped the stencil down prior to applying the paint as some of the lovely details in the stencil are lost because the paint oozed underneath it but I think it works okay in the end ;). The puffy word stickers stand out as the title over the painted area. Just make sure you apply a little extra adhesive if you glue anything over top of the paint to make sure it sticks. I've used one of the kit tags to house my journaling for the layout. The brad sits at the bottom of my hand cut feathers grounding them so they don't appear to be floating in the middle of nowhere ;)). 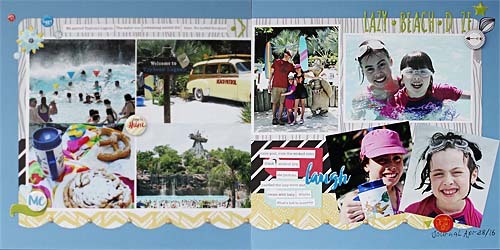 The top photo is the left side of the layout and the bottom is the right side of the layout. I have to be honest, I wasn't able to get my April photos printed in time so I used some older ones to fill in for now. These green puffy alphas are included in the kit, this tag is part of the tag add on for the kit. You can see that I've used a number of the puffy stickers on my filler cards for the pocket pages. 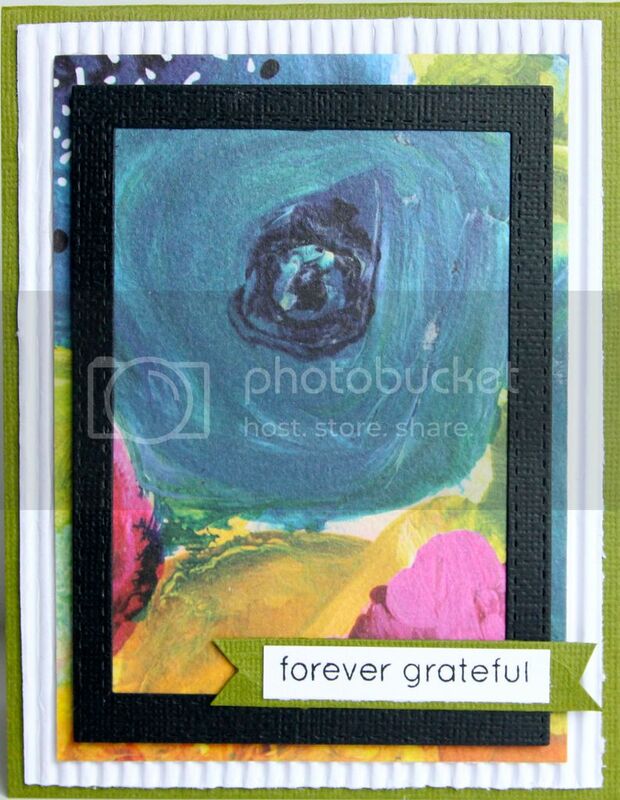 Isn't this card stock color lovely? 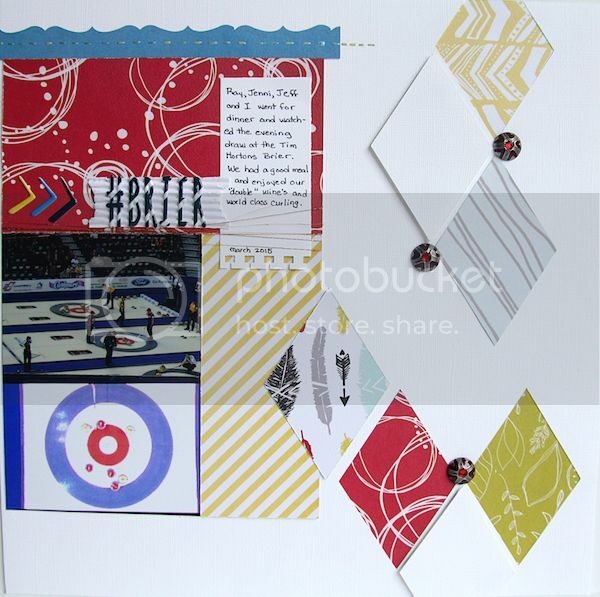 It's one of the card stock papers included in the kit. 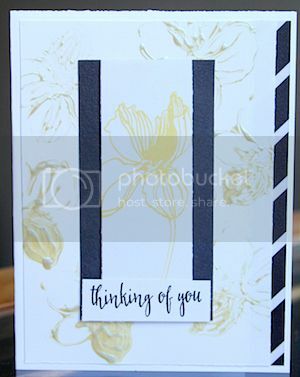 I created a border of tags with the add on tags down the side, then backed the patterned papers on black card stock to make them stand out. Another title with puffy alphas, this time the green ones included in the kit and a few more puffy stickers finish off this layout. 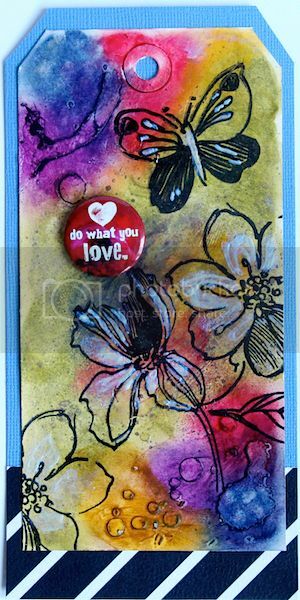 I've been wanting to play with the Tim Holtz Distress Watercolor Crayons and the floral paper in the kit inspired this tag. I coloured small portions of this tag and then rubbed the color with my finger to lightly blend. After setting it aside for awhile to ensure the colors "dried", I applied translucent embossing paste to the top left and bottom right corners over a Tim Holtz stencil, let dry, then applied more Distress watercolour, again rubbing it with my finger to bring out the embossed portion of the tag. 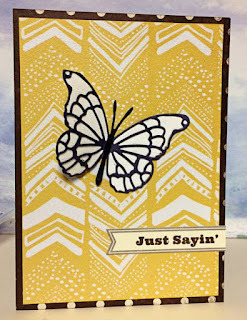 I spritzed a little Brushed Pewter Tim Holtz Mica spray and then stamped the blooms and butterfly with the Altenew Wild Hibiscus stamp set and Archival Ink. I've also brushed a little of the Art Alchemy paint on the stamped images and lastly finished with a flair buttom from the kit. These two cards feature images from the Altenew Wild Hibiscus stamp set. The top card is simple a piece of scrap patterned paper along the right side, flower image is stamped with Altenew ink and enamel dots are from my stash. 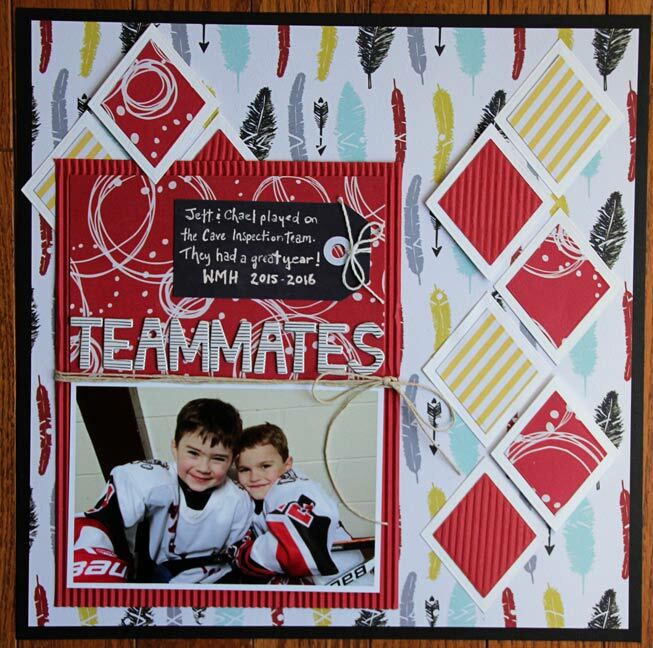 The bottom card also uses scraps which are matted on black card stock. The add on striped washi tape unifies the patterns. I've purposely left the card fronts blank, I'll add a sentiment later depending on whether I need a birthday, thank you, etc. card. I have lots of mosaic type of projects lately and wanted to give one a try myself. I took scraps of paper, trimmed them down and randomly laid them on black card stock, moving them around until I was satisfied with the placement. I wasn't entirely satisfied with the end result so I decided to add a piece of vellum paper over top to soften the pattern. 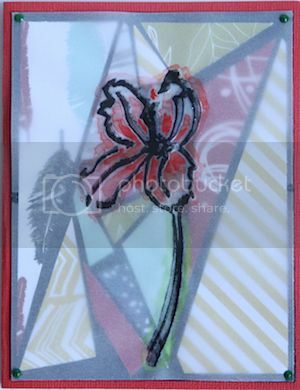 The flower is a stamp from the Altenew Wild Hibiscus set stamped in Versafine black ink and then embossed with clear embossing powder, a little red watercolour highlights the image. 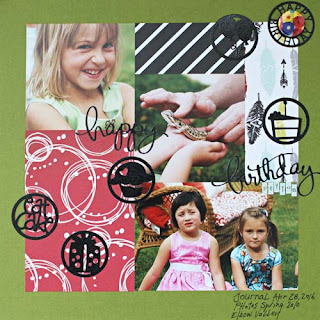 Ths was another very easy card to make, I simple die cut a frame to lay over the floral patterned paper, added the stamped sentiment to a hand cut banner, matted it on white corrugated paper included in the kit and then adhered to a green card stock base. 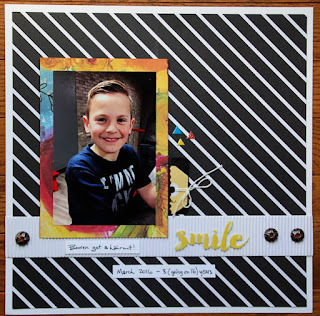 I love the combination of the yellow, black and white and decided to try out stamping with the Art Alchemy paint from the kit. It stamped not too bad considering I just applied the paint to the stamp with my finger, would probably get a better image if I applied the paint with a brayer. The best part about using papers from the same line is how well the coordinate together. I've used 4 different patterns on this card. 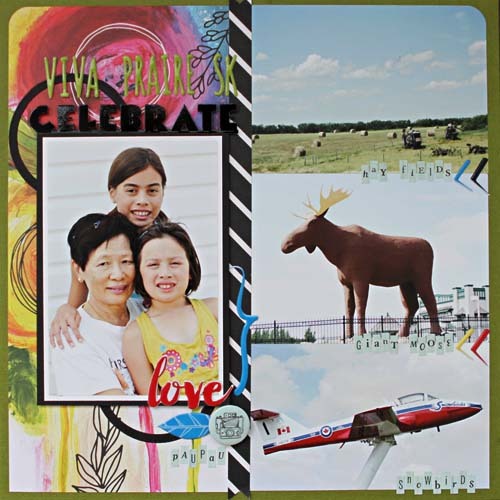 I have die cut happy 3 times then glued them together to create a little dimension, die cut and sentiment are the Mama Elephant Clear Stamp Set Happy Everything. Nuvo Crystal Drops finish off the card with red dots, they look like pearls don't they? 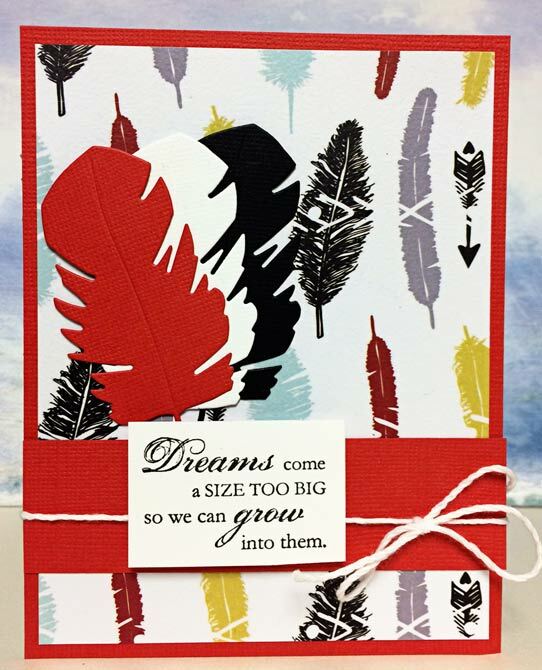 I created a giant flag down the middle of the page with card stock, patterned paper and the feather washi tape included in the kit. 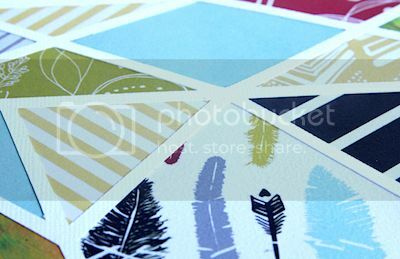 The photo is matted on white, then black card stock and layered over a larger photo mat of offset patterned papers. Puffy stickers also frame the photo and the title is comprised of green puffy alphas and a flair button. I like to have a title on a layout but, to be honest, I often struggle with what to "call" the layout so bring on the hashtag...pretty much anything will work as a title for me beginning with "#". for a grand total of 14 projects from 1 kit. Add ons I purchased, 1 washi tape, 1 package of tags. Scrap Shotz April 2016 Kit Reveal - Fancy Pants "Attwell"
Well this kit was awesome! I always have fun with them, but this one was diverse and so easy to work with! Let's get started! 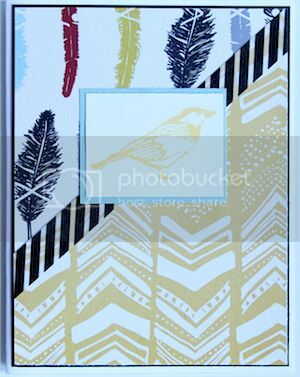 I love the watercolor look of this patterned paper! What bright fun it is! 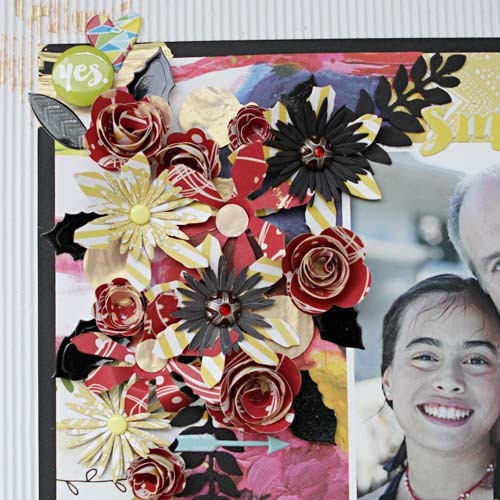 To highlight the blooms, I die cut scribble blooms and adhered them to the 3 main flowers that are showing. 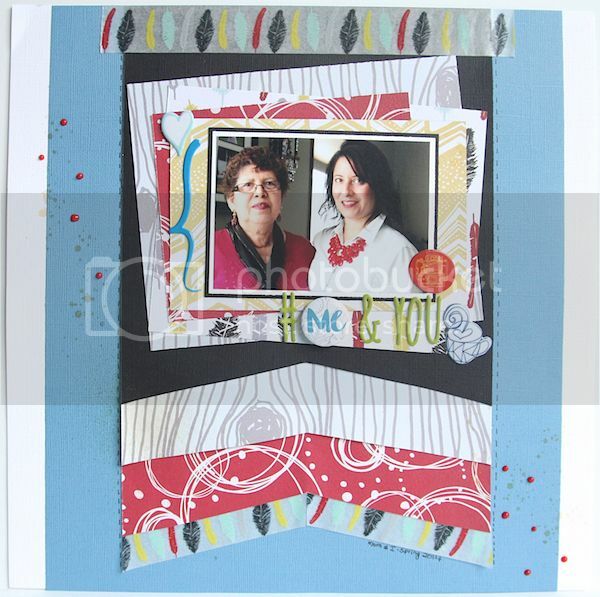 I used some washi tape to border the strip of yellow diagonal striped paper, and also to tape the photo on. This is one of those "Oh my goodness, this girl is something!" 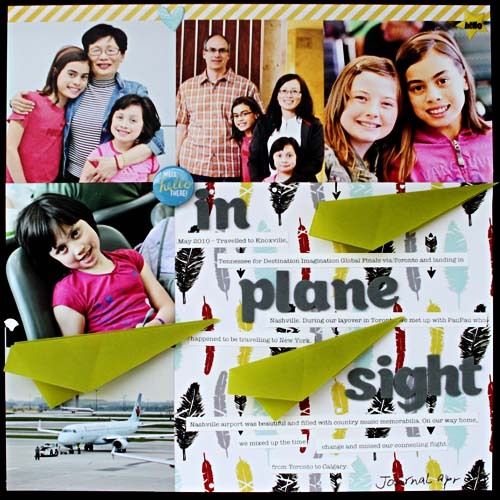 layouts of my granddaughter. We generally like to include a sketch in our reveal and this was one from the April 2016 Pagemaps release. I loved the diamond shapes and used a Spellbinders die to cut these and their mats out. 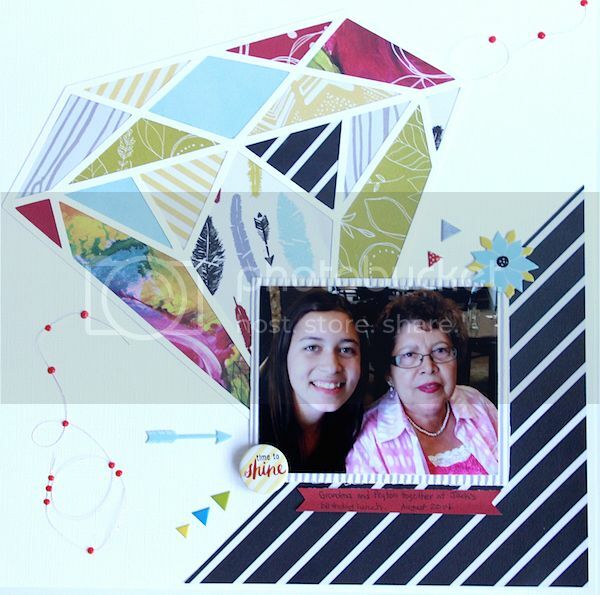 Some of the diamonds are popped up to create texture using dimensionals, as well as using the corrugated cardstock for a few of them . 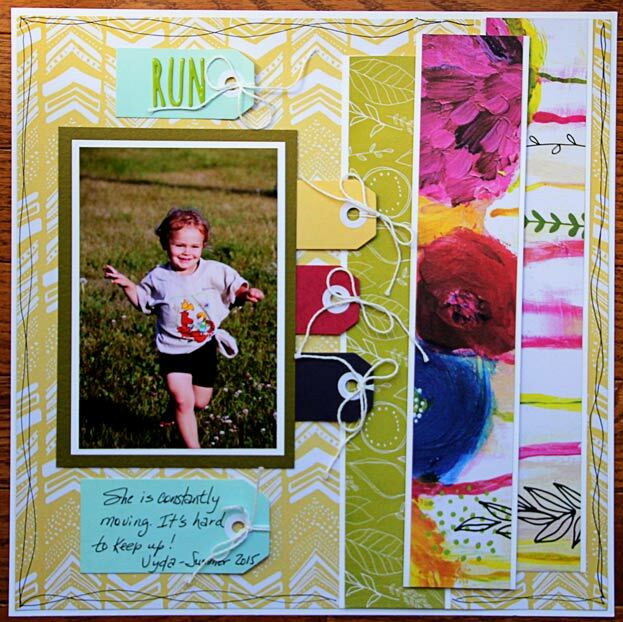 The swirly patterned paper is a great way to add movement and makes this a happy layout. This layout used a couple of different patterned papers and the puffy embellishments from the Fancy Pants "Attwell line." I love the colors, and they were perfect for these photos of the bridge that my grandson and his Grandpa made for his school project. 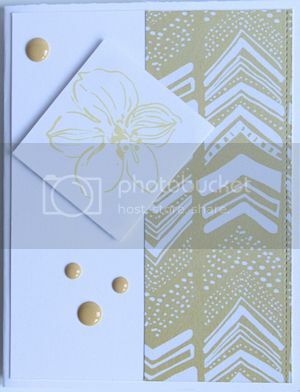 A little bit of gold splatter adds to the diagonal flow. 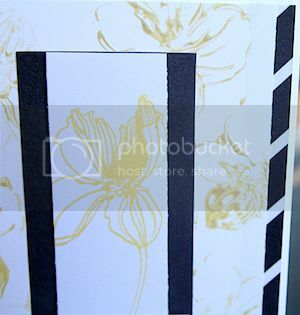 I love the dramatic look of the black and white diagonal stripes in this pattern! 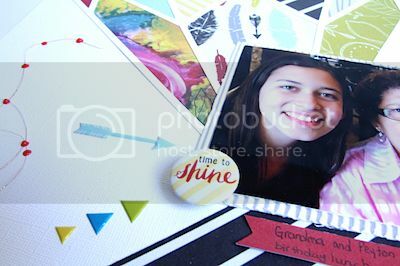 The mat of colorful patterned paper brings the photo of my handsome grandson to the forefront. 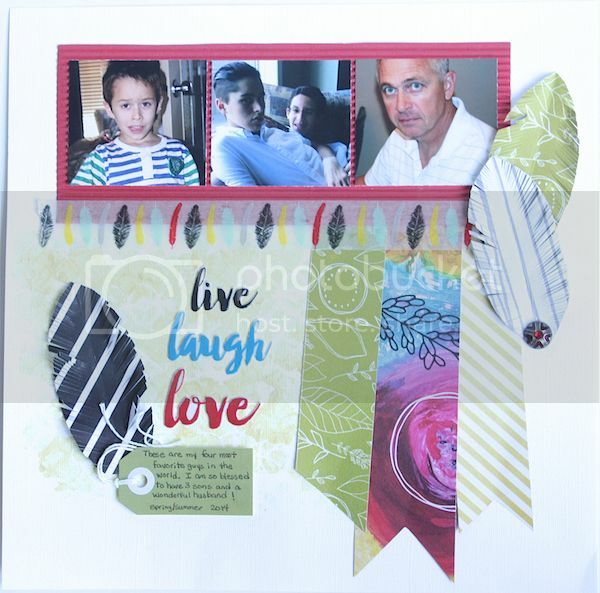 A perfect embellishment on the corrugated cardstock strip are the lovely brads from Emerald Creek. 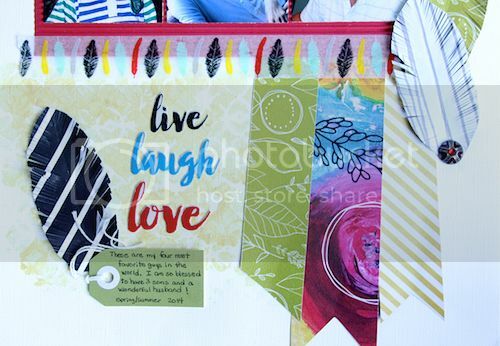 Some journaling hides on a tag behind the photo, and a puffy sticker word serves as the title. 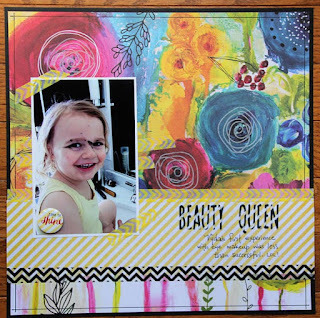 I found another way to get those vibrant, fun colors onto my layout. 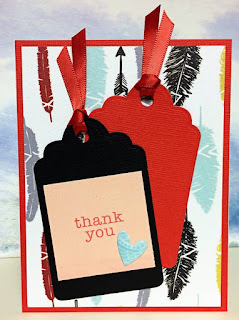 I cut strips of patterned paper and made them a design element. 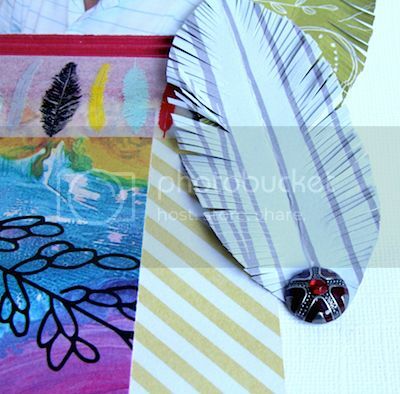 The tags serve as embellishments as well as a spot for both the title and journaling. 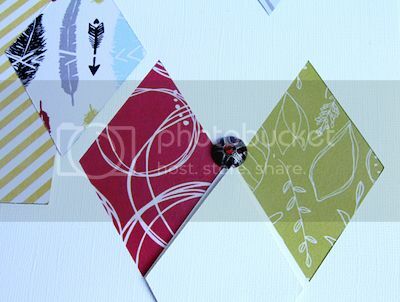 I made a few cards with the scraps of patterned paper left in the kit. 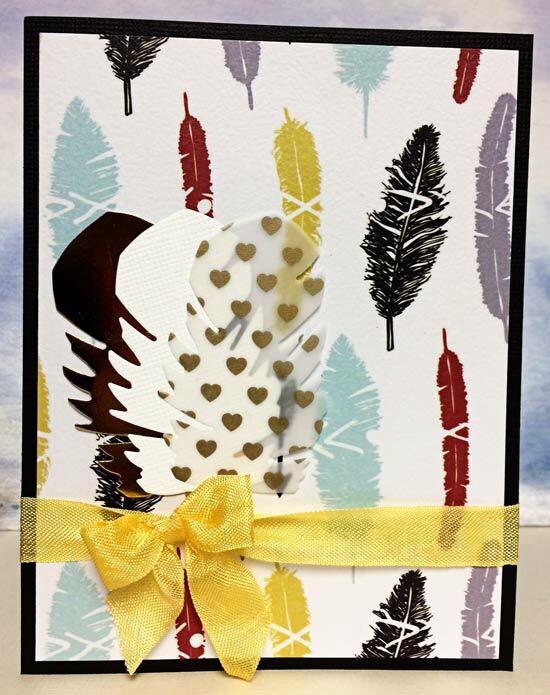 I love the bright feathers on this one and die cut some feathers to use as my main element on this card. The same patterned paper offers quite a different look when bordered by black cardstock and embellished with gold and white feathers and a pretty yellow ribbon and bow. A simple "Thank you" card with the red cardstock and die cut tags is effective. 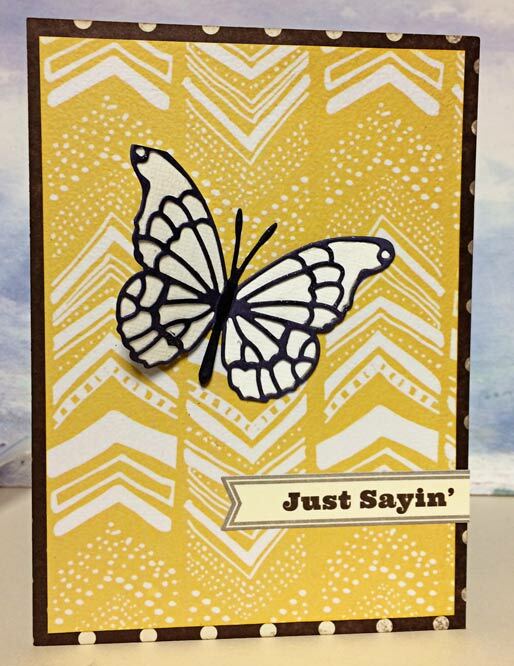 This card is made from scraps and a die cut butterfly. Wink of Stella glitter has been added to the wings of the butterfly, and a Jillibean soup label serves as the sentiment. 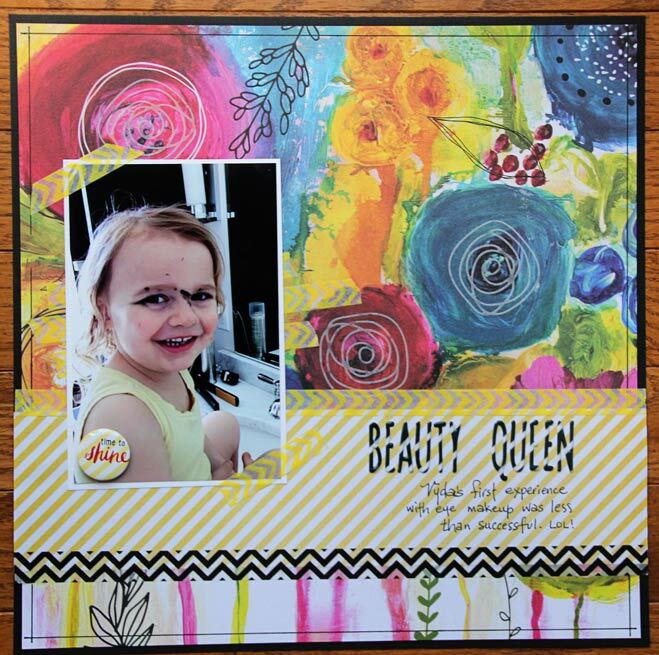 Finally, our team was asked to showcase the Prima Art Alchemy acrylic paint. 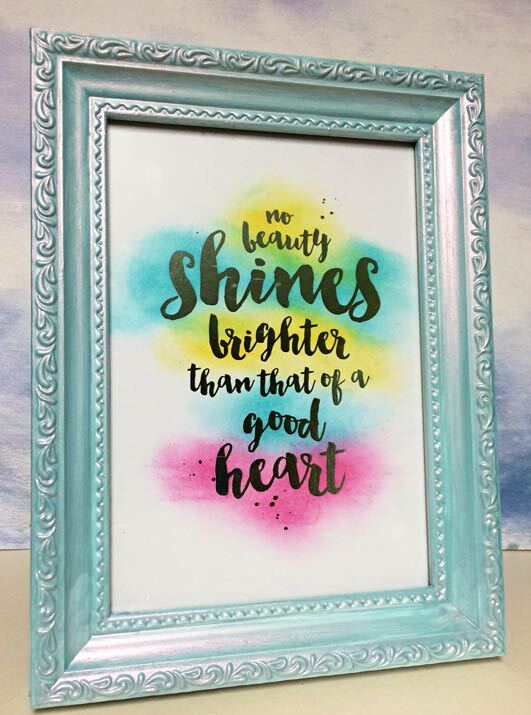 I used the iridescent Opal Magic Pink-Blue to paint an inexpensive frame that I used for a Minc foiled quote. The paint is so pretty and went on so smoothly! I love that it the blue/pink tones change as you look at it from different angles. It took an inexpensive white frame from nice to Wow! in a single coat. Thanks for looking in on my April reveal. Stayed tuned for the rest of the design team's work this week. 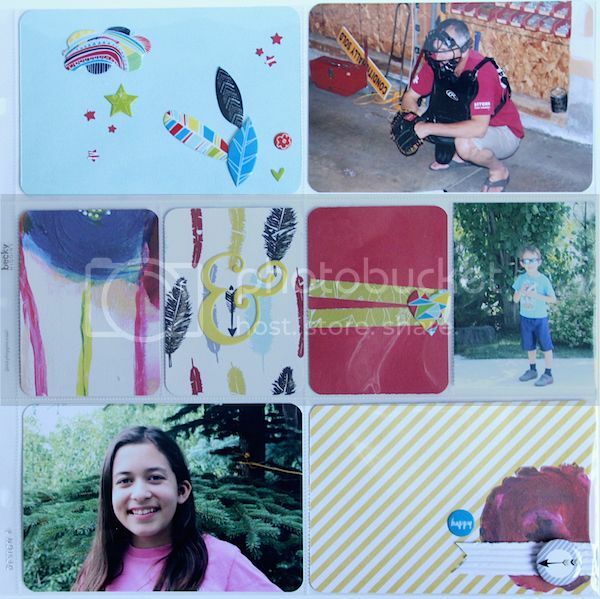 You will be amazed with the variety and volume of projects from a single kit. Scrapshotz kits are always impressive!